Through two contracts valued at over $5 billion, the Indian Navy wants to procure 111 armed light naval utility helicopters and 123 naval multi-role helicopters with anti-submarine warfare capabilities. The Indian Ministry of Defense sent the requests for information to six original equipment manufacturers with a mid-October deadline, though a final contract isn’t expected to be signed for a few years. According to the Diplomat, requests for proposals will be sent to be vendors that will include detailed technical descriptions for the aircraft including mandated technology and offset obligations as required. This effort will be carried out under Prime Minister Narendra Modi’s "Make in India" initiative and a Defense Ministry strategic partnership policy to manufacture military technology locally. 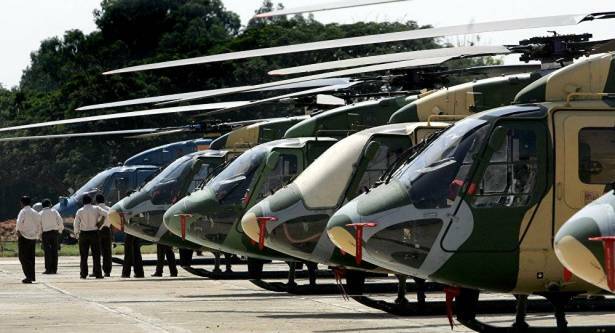 Under this initiative, the helicopters will be produced in India through a collaboration between an Indian company of the government’s choosing and a global vendor, which will share technology and experience with the local company. The Indian Navy currently has 17 Sea King anti-submarine warfare helicopters and 11 Kamov-28 helicopters, thought most of them are not operational: only four of the Kamov-28s are flyable and the Sea Kings having a serviceability rate lower than 30 percent. The Times of India reports that an order of 16 US-made Sikorsky S-70B-x helicopters made in 2014 "has not made any headway." There also reports that the service is looking for an NMRH helicopter with anti-surface warfare capability and full anti-submarine capability. The AgustaWestland AW101, the NHIndustries NH 90 twin-engine helicopter, the Mitsubishi H-60 and the naval Super Puma are all possible candidates.